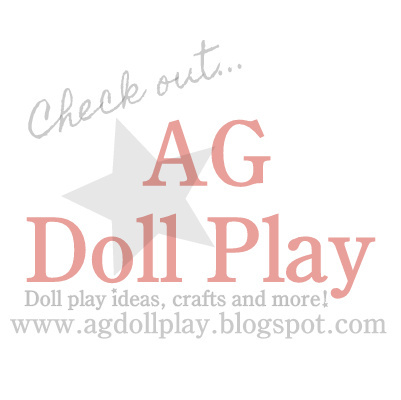 American Girl Doll Play: Welcome Isabelle! The 2014 Girl of the Year!!! 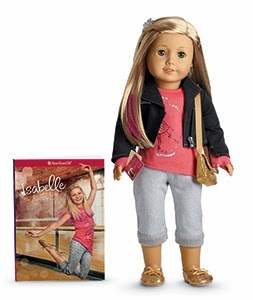 Welcome Isabelle! The 2014 Girl of the Year!!! 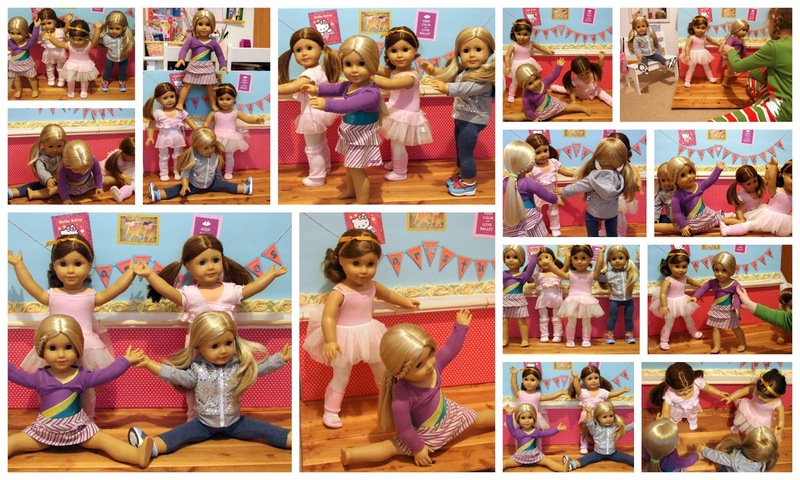 In honor of officially welcoming the 2014 Girl of the Year, Isabelle from American Girl, we thought we would share again our "how to" of creating a ballet barre and studio backdrop for your dolls...since Isabelle is a dancer we thought it only fitting! Here are some photos of our dolls enjoying their dance studio set-up made from foam core board and some printed posters (that we found online) and scrapbook paper. For the barre I used a dowel (found at our hardware store and cut to size) that is attached to the foam core using little metal hooks. It's truly amazing how simple this project was! For more detailed instructions and photos be sure to check out the original blog post here. It is always so exciting when the new GOTY arrives! We get to learn more about her as the days come and see all the fun new things that are created just for her...are you excited too? What is your initial reaction to this years new GOTY and her debut collection? So happy!! We made this when we first found your blog! Onto more crafting & buying Isabelles matching clothes!! Awesome, thanks so much for sharing with us! :) We are having fun looking at the site today and seeing what things we will want to save for this year. So fun!